Blossom Street is a highly versatile and vibrant chamber choir comprising some of the UK’s best young singers which performs regularly on TV and radio as well as on the concert platform and has released two critically acclaimed CDs with Naxos. Blossom Street is available for TV and radio work, concerts, events, festivals, private functions and education projects. Depending on requirements, the group can provide between six and twenty four singers. 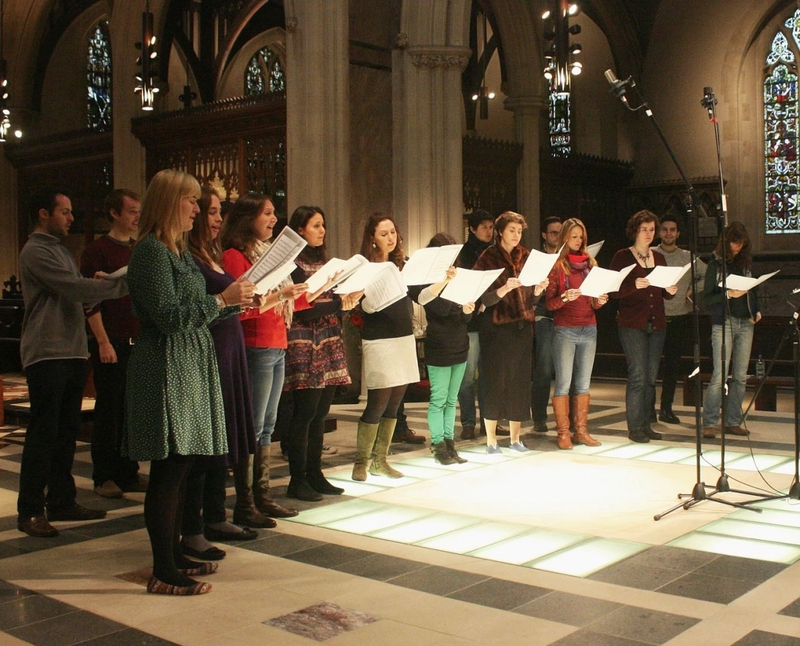 The group also offers an arranging service; a professional composer will be happy to write a bespoke choral arrangement for your event or concert. Blossom Street work with a number of emerging composers, workshopping and recording their new music. The group is available to hire for rehearsals and recordings. "One of my favourite choirs"
"A thrilling sound and a very distinctive one"